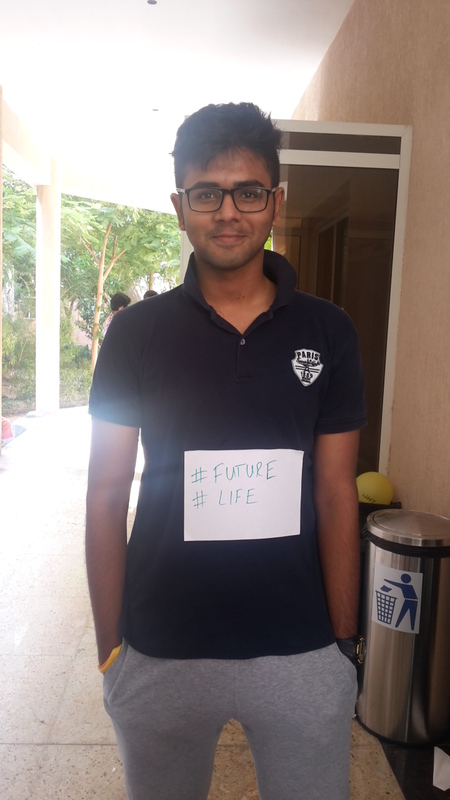 I am a second year Computer Science Engineering student at BITS Pilani Dubai Campus, and I have been an active member of the Social and Environment Club (M.A.D Club) since my first year. We organize clean up drives around college, host charity events like Dandiya night and Black Tie party. 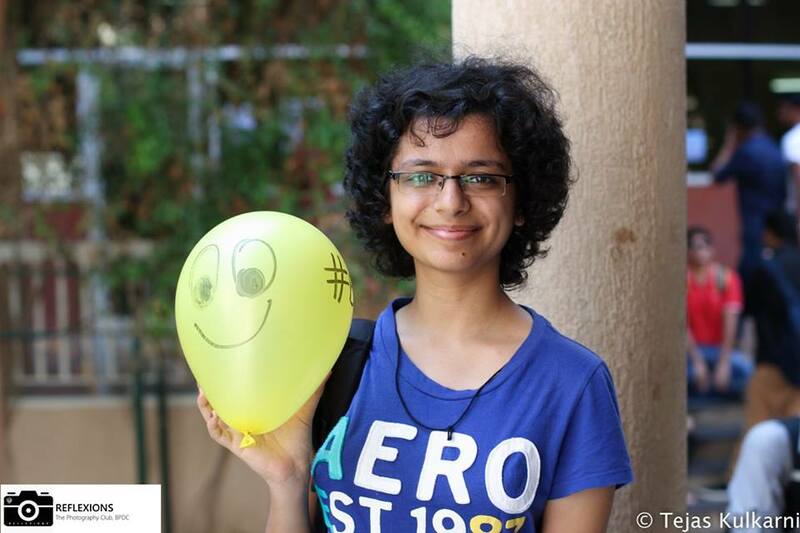 Most recently, we organized a fun day out for a group of special needs children in April 2015. I have enjoyed participating in and organizing all of these events because I think they help bring our community together as well as the communities around our campus. I’m excited to share that we’ve recently partnered with Mana Maali to extend our work and efforts to another important area. 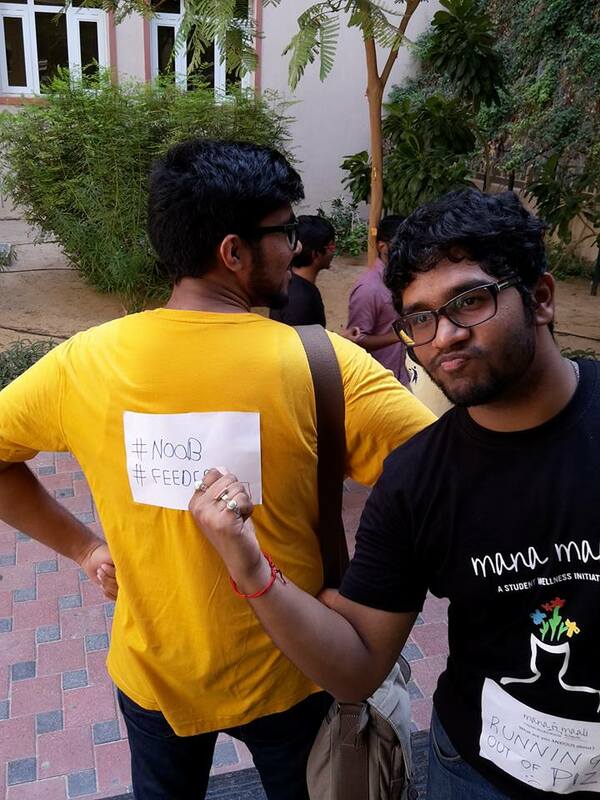 Mana Maali is a BITS-Stanford initiative to generate awareness and discuss the impact of stress and anxiety in our day to day lives and how important it is to be fit mentally. 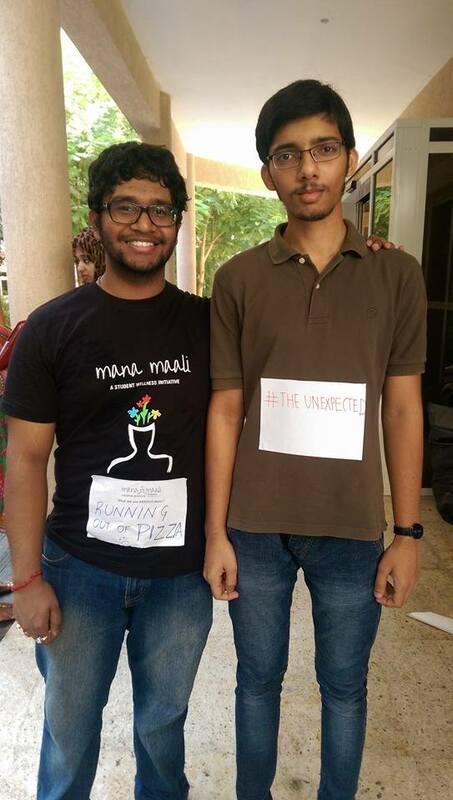 Mana Maali aims to help students learn how to identify and manage anxiety and deal with it appropriately. 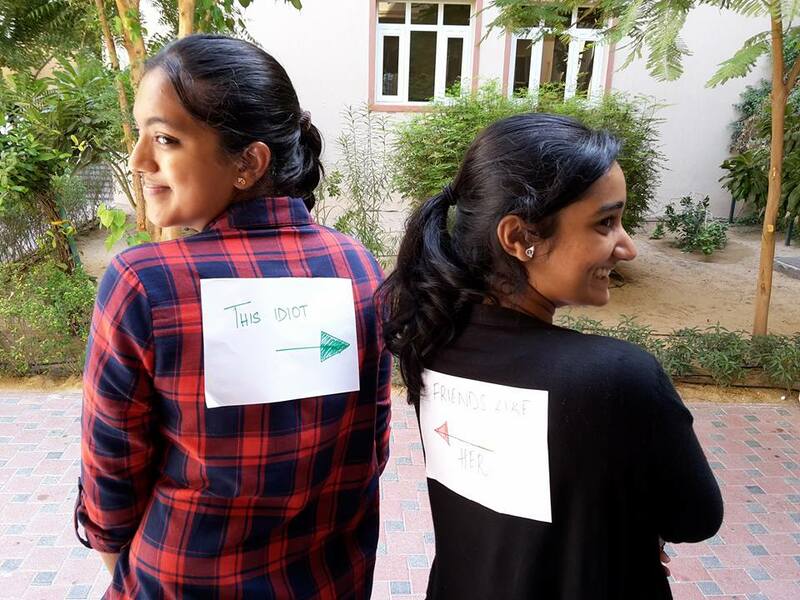 10th October was World Mental Health Day and, with the help and support of the project director Nitya Kanuri and MAD Club professor-in-charge Dr. Geetha, MAD Club celebrated the day by hosting a sticker campaign at BITS Pilani Dubai Campus. 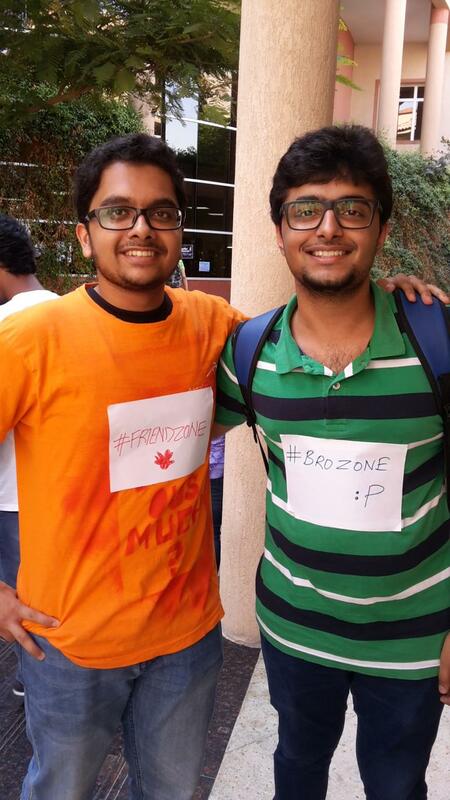 Students of BPDC were asked the million-dollar question: “What makes you anxious?” Answers ranged from academics, family, relationships and career options (and “brozone” and “running out of pizza” :)). A group of students from the MAD Club (including me) formed the organizing team. 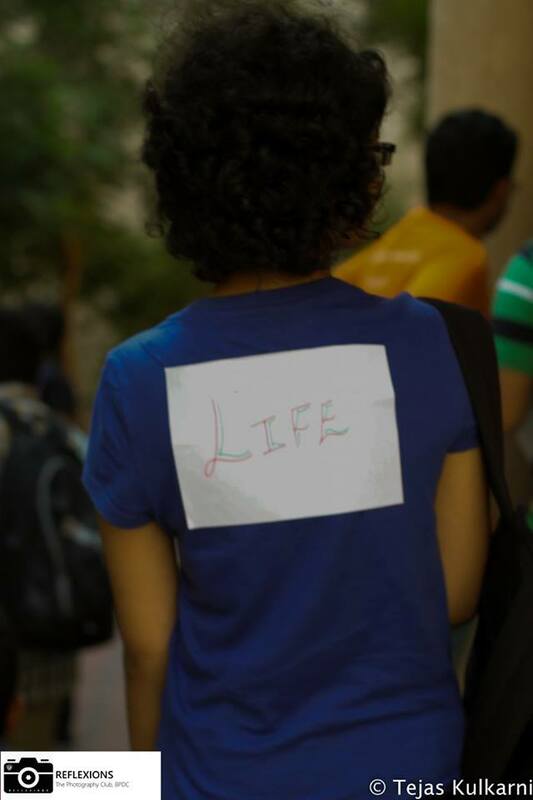 We passed out stickers around hot spots on campus that asked students “What makes you anxious?” and they could be stuck on anybody’s t-shirt instantly. 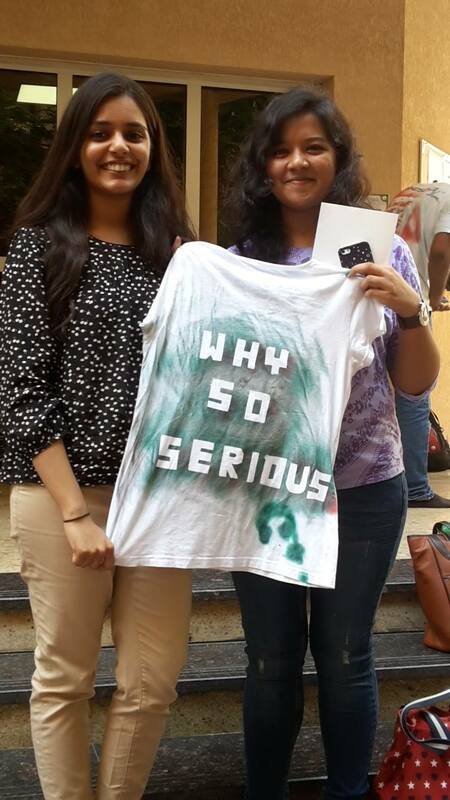 There was also a t-shirt painting corner, where students were asked to bring their old t-shirts and we would spray paint their worries. 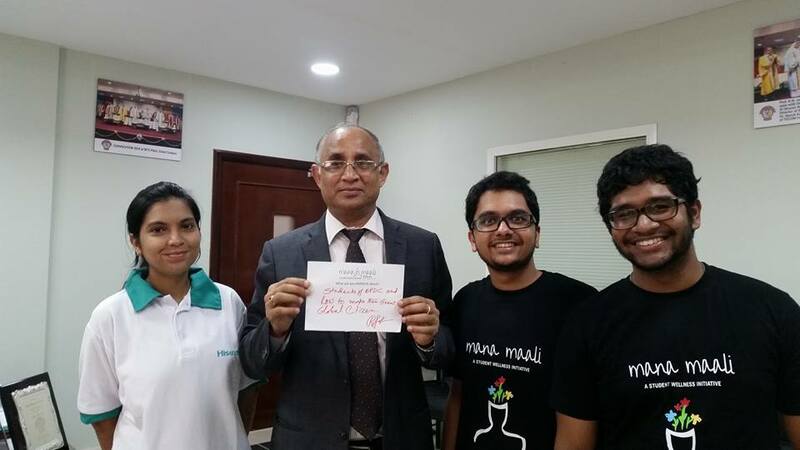 Our Professors and the Director Dr. R. N. Saha took part in this as well, and they thought this is an excellent way to get students to consider talking about their problems and maybe seek help. 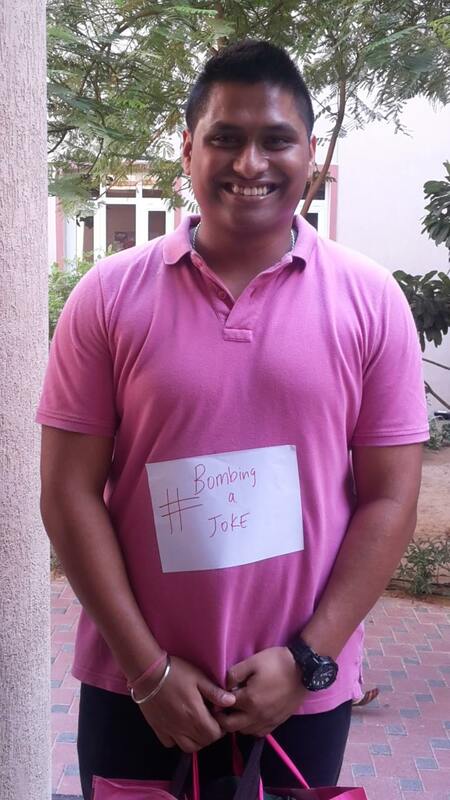 Initially a lot of students were hesitant, as most make jokes about these things. But once they saw how everyone was talking openly about their lives and the things that make them worry, we got a lot more enthusiasm and serious answers. In today’s fast paced modern life of the 21st century, competition for being the best starts very early. Parents, teachers and peer pressure instill the seed of competitiveness in a child at a tender age, and the desire to be the best at everything, to win every game, makes competition grows stronger. This affects the mental health of a child in various ways. Children face stress, feel like they must out do themselves in academics and extra-curricular activities, get into a ‘A’ grade university, get a good job, get settled…and the list just keeps on growing. What happens when a child cannot keep up with this race? S/he suffers through what most people today call early symptoms of depression – withdrawal, being emotionally and mentally unstable, change in appetite, and other behaviors that I’ve seen in friends. The aim of this event was to highlight these issues and give students a platform to discuss them openly. This event was the first of its kind, and it provided students with an opportunity to communicate and connect with others who were facing and struggling with the same things. Also it made everyone realize how important it is to lead a stress free life or at least try to consciously live with less anxiety. I am excited MAD has partnered with Mana Maali to bring more attention to something I think is very important but not discussed enough. We’re excited to begin changing that.